The term “100-year flood” is misleading. It is not the flood that will occur once every 100 years. Rather, it is the flood elevation that has a 1-percent chance of being equaled or exceeded each year. Thus, the 100-year flood could occur more than once in a relatively short period of time. The 100-year flood, which is the standard used by most Federal and state agencies, is used by the NFIP as the standard for floodplain management and to determine the need for flood insurance. While the 100 year flood is the most common metric, a 500 year flood is also sometimes plotted. A 500 year flood is, of course, one that has a 0.2% likelihood of being equaled or exceeded in any given year. The Orange County Public Works Department has prepared a map showing the flood zones for all of Orange County in the event of both a 100 year flood (or a 1% likelihood flood) and a 500 year flood (or a 0.2% likelihood flood). 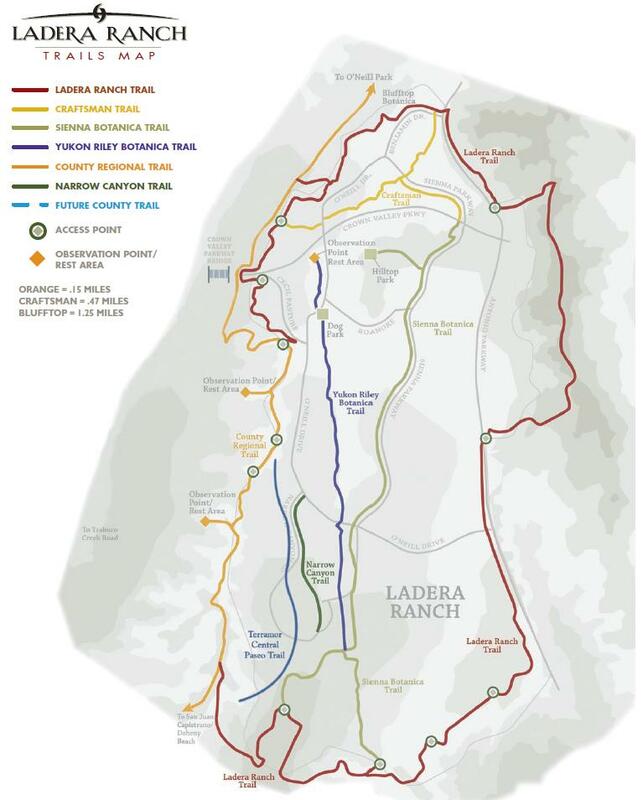 We’ve excerpted the South County portion of the map and annotated it to add Ladera Ranch and Rancho Mission Viejo (full size image available here). As you can see, the coastal communities of Dana Point and San Clemente are largely unscathed in the event of our hypothetical floods. Dana Point Harbor is lost, as is Doheny Beach. The majority of the damage seems to be along San Juan Creek, particularly through the low lying areas of San Juan Capistrano. A 500 year flood would threaten the Mission and most 0f historic San Juan Capistrano. On the other hand, Talega would acquire a new lake and the homeowners of Sendero, on the other hand, would benefit from their new waterfront property in the event of a 100 year flood, at least temporarily.